There is a greater need to improve the level of access to Non-Motorized Transport (NMT) and Public Transport for persons with disabilities (PWDs) in Nairobi City Kenya, in compliance with their constitutionally granted rights. 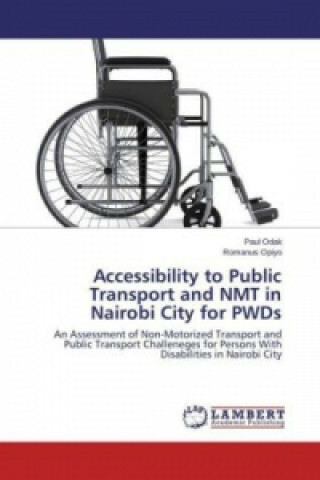 This book has provided a selected overview of progress that has been made and the gaps that still exists towards achieving improved access to NMT and public transportation for PWDs in Nairobi City. A generalized framework is suggested for describing the phase implementation of activities towards improving access for PWDs in Nairobi City, Kenya. Some critical priorities for actors at various levels of development have been suggested with a view to benchmark with the international best practices. It is irrefutable that failure to respond to these needs on time will deteriorate the social efforts aimed at reducing the gap between the PWDs and the rest of the population.